Congratulations to Holly Davies who has been awarded Employee of the Quarter for Q4 2018-19. “Holly has had an excellent quarter; finishing top of the Company for output. Holly has come on leaps and bounds this year and her Q4 was the strongest across the business. Often staying late and helping others Holly is a deserving winning of this award. Well done Holly!” – Mike Jeffreys, Director. Holly joined Compass Associates’ Adult Social Care team in December 2016, having spent 4 years at Nottingham University completing a Degree and then a Masters in Business Management and Human Resources. Holly is a dedicated member of the Adult Social Care team overseeing the Southern counties. 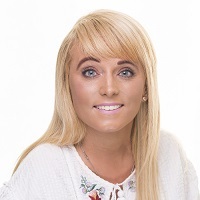 Holly’s knowledge of the Adult Residential, Supported Living and Domiciliary Care markets and experience in managing tricky assignments, has led to Holly gaining a reliable reputation in terms of recruitment delivery. Holly’s friendly, transparent and partnership approach has led to many Clients and Candidates returning to Holly for future people solution solutions.